It's no secret that not all international mags are lucky enough to get the major cover stars we enjoy here in the U.S. But, the old adage does not apply: If you can't make it, you probably shouldn't fake it. 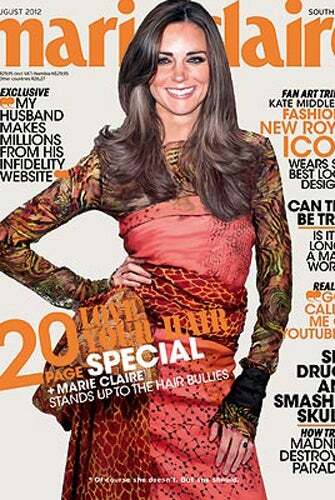 Marie Claire South Africa thought it was a clever idea to slap Kate Middleton's head on a model's body for a cover story on African designers. We might be late to the party on this, but it's completely crazy, and we think it deserves some serious thought. What do you think of this Photoshop job? Stupid, silly, or a means to an end?